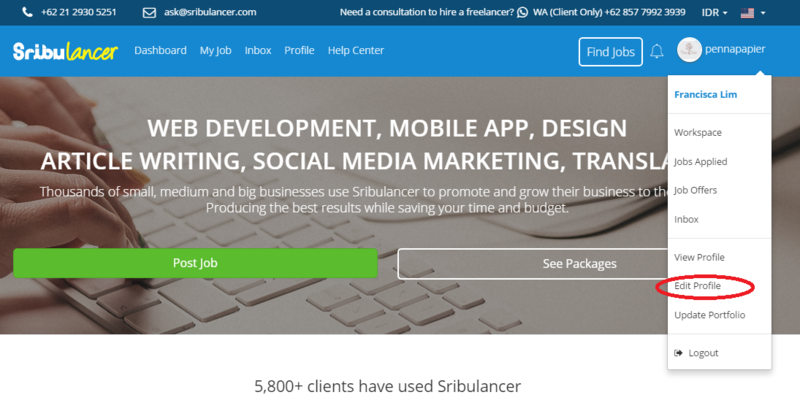 Upon completing each project, Sribulancer will process all the payment to freelancers as per the amount agreed by the client and the freelancer. 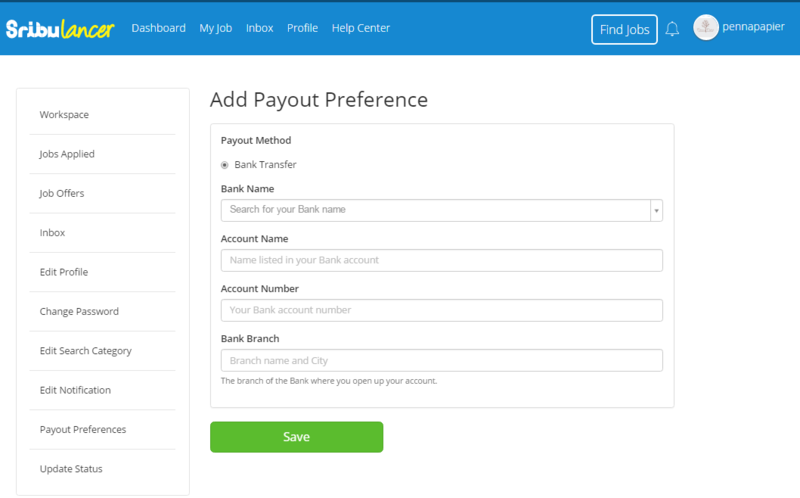 Sribulancer will process payout to the freelancer's bank account that has been registered in the freelancer's profile. For that reason, all freelancers are required to own an active bank account to receive our payout transfer. 1. Login to your Sribulancer account and click " Edit Profile". 2. Select " Payout Preferences" that is listed on the left side of the profile. 3. You will be directed to a page where you're required to fill in your bank account details. Click " Add Payout Preference" to begin. 4. Fill out the information provided in the space and click " Save". Congratulations, you have successfully added your bank account details as Sribulancer payout destination. You may also add more than one bank account as preferred. 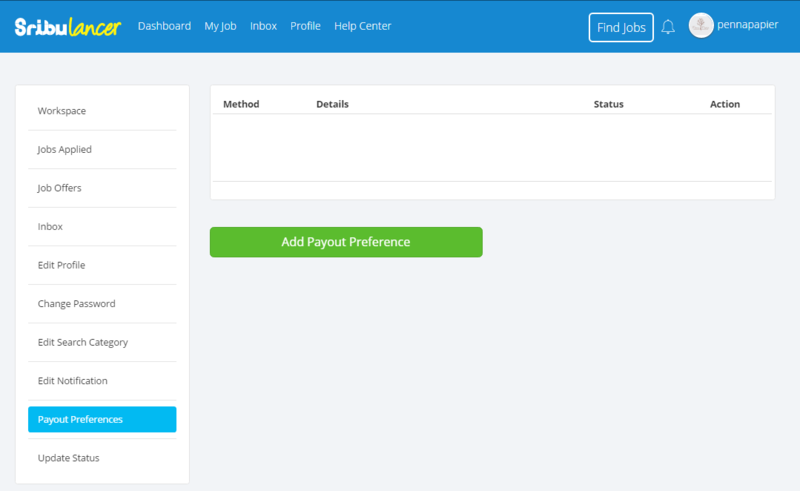 We use 'EveryDay Payout' system for all freelancers. Freelancer can request for payment any time and will be processed on the same day or next day depending on the cutoff time. 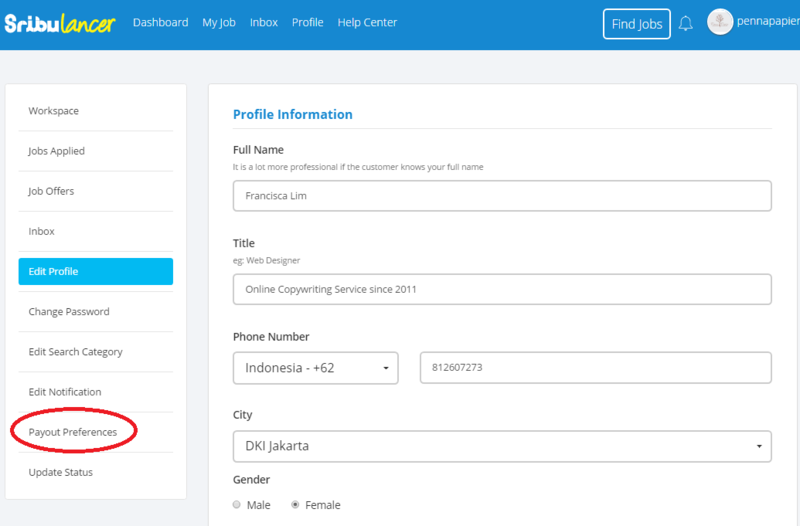 All payments to freelancer will be processed everyday with cutoff time of 09.00 AM (WIB). All payout will be processed every weekday (monday - friday). If your request is submitted before 09.00 AM (WIB) on Wednesday, then your payment will be processed on the same day Wednesday. All payments will be transferred to the bank account that is registered to your freelancer account between 0-2 working days. Freelancer A requests payout on Wednesday at 08.00 AM. Payment will be processed on the same day Wednesday and Freelancer A will receive his payment between 0-2 working days since that Wednesday. Freelancer B requests payout on Wednesday at 11.00 PM. Payment will be processed on the next day Thursday and Freelancer B will receive his payment between 0-2 working days since that Thursday.